Salo is a town and municipality of Finland.It is in the province of Western Finland and is part of the Southwest Finland region. Here are some ideas for day two: explore the wealth of natural beauty at Teijo national park. For traveler tips, other places to visit, ratings, and other tourist information, use the Salo day trip planning tool . Berlin, Germany to Salo is an approximately 8-hour flight. You can also drive. The time zone difference moving from Central European Time to Eastern European Time is 1 hour. In June, plan for daily highs up to 20°C, and evening lows to 9°C. Wrap up your sightseeing on the 16th (Sun) to allow time to travel to Rosala. On the 17th (Mon), see the interesting displays at Rosala Viking Centre and then visit a coastal fixture at Bengtskar Lighthouse. Plan a trip to Rosala easily and quickly by telling Inspirock to suggest an itinerary. Traveling by car from Salo to Rosala takes 2.5 hours. In June in Rosala, expect temperatures between 20°C during the day and 9°C at night. Wrap up your sightseeing by early afternoon on the 17th (Mon) to allow enough time to travel to Uusikaupunki. Start off your visit on the 18th (Tue): pause for some serene contemplation at Uusikaupunki Old Church, see the interesting displays at Bonk Museum, and then examine the collection at Automobile Museum. On your second day here, step off the mainland to explore Isokari Lighthouse. To find where to stay, more things to do, reviews, and tourist information, refer to the Uusikaupunki trip planner . Traveling by car from Rosala to Uusikaupunki takes 3.5 hours. June in Uusikaupunki sees daily highs of 20°C and lows of 9°C at night. 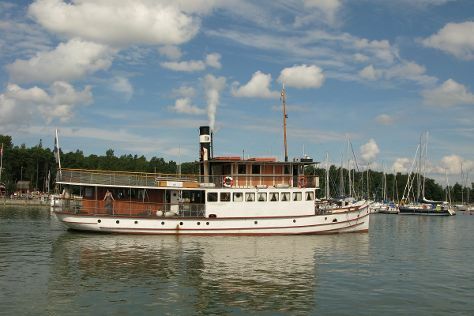 Wrap up your sightseeing on the 19th (Wed) early enough to travel to Naantali. Naantali is a town in south-western Finland, known as one of the most important tourist centres of the country. Do some cultural sightseeing at Louhisaari Manor and Ett Hem Museum. 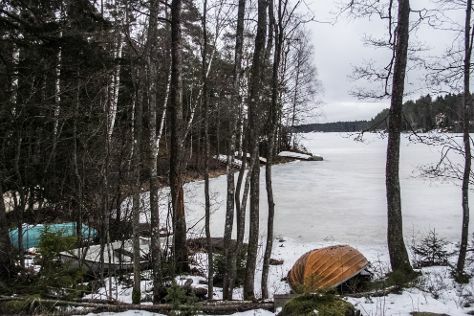 You'll discover tucked-away gems like The Archipelago Trail and Kupittaa Park. There's lots more to do: enjoy the sand and surf at Ispoinen Beach and Sauna, contemplate in the serene atmosphere at St Henry's Ecumenical Art Chappel, test your team's savvy at popular escape rooms, and identify plant and animal life at Vepsa Island. To find photos, ratings, where to stay, and tourist information, read our Naantali online journey planner . You can drive from Uusikaupunki to Naantali in an hour. Expect a daytime high around 20°C in June, and nighttime lows around 9°C. Finish up your sightseeing early on the 22nd (Sat) so you can travel back home.